The only juicer you’ll ever need! 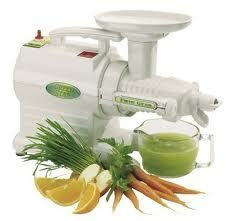 For juicing fruits and vegetables of virtually every description, The Green Star Juice Extractor has no rival. From hard roots (carrots, ginger) to fibrous stalks (celery, rhubarb) to even the toughest leafy greens (kale, wheat grass), nothing is better at unleashing every drop of nutrition from fresh produce to boost your health, energy and overall sense of well-being. 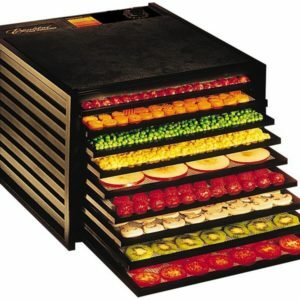 All models contain everything you’ll need for easy juicing and food processing. 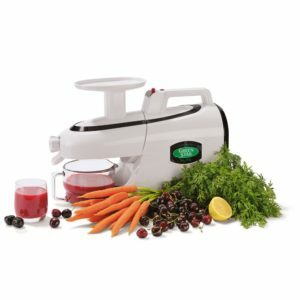 Green Star Juicers feature an exclusive low-speed, quiet and heavy-duty Twin-Gear impeller press system that operates with minimal noise, friction and heat, preserving even the most fragile nutrients. 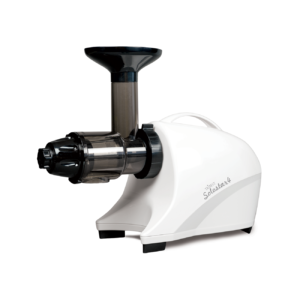 HD Twin-Gear juicing technology produces higher juice yield and enhances the nutritional value of every drop. UL, CE, and TUV certified with 5 year warranty. 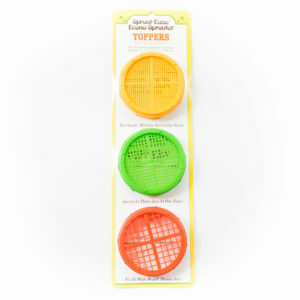 Set includes fine screen, glass juice pitcher, cleaning brush, plastic and wooden plungers; coarse screen, drip tray; strainer, breadstick maker set and pasta maker set.